yea on board audio is terrible. I can make a better machine with Wi-Fi and Bluetooth and I can easily fit it inside any enclosure. Maybe another tracker like DefleMask or something? 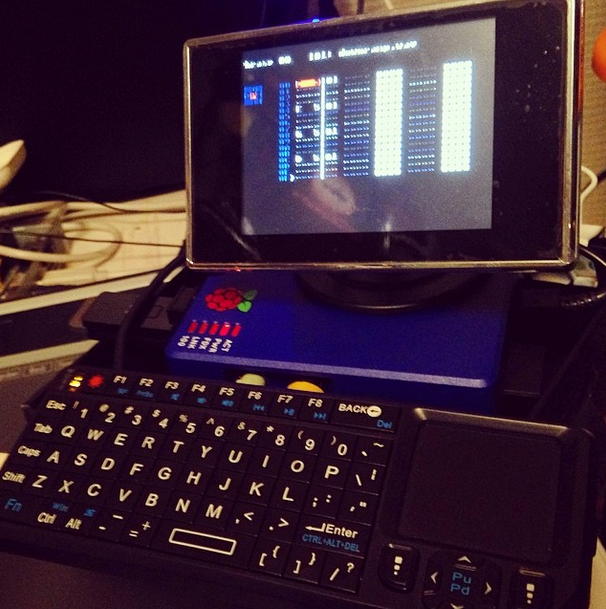 Maybe it got better on the raspberry pi 2, i have no experience with that. aah yes. it's the pi2 what i had in mind. yes of course. Could you please share the model of the monitor? It's 640 * 480 so I had to play with the display settings a bit to get LGPT to fit. I got it to work as a midi sequencer, but haven't done much extensive work with it yet. DIY_Destruction uses a raspberry pi running pd with video out for viz and wirelessly controls his pi using touchOSC on a tablet. It's... it's so cool, you guys. it's amazing.